It’s always fun to be the first kid on your block to have the latest and greatest. 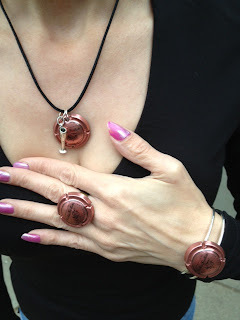 Well, I was the first kid on the block to have the new champagne cap bracelet from Pop Culture Princess. 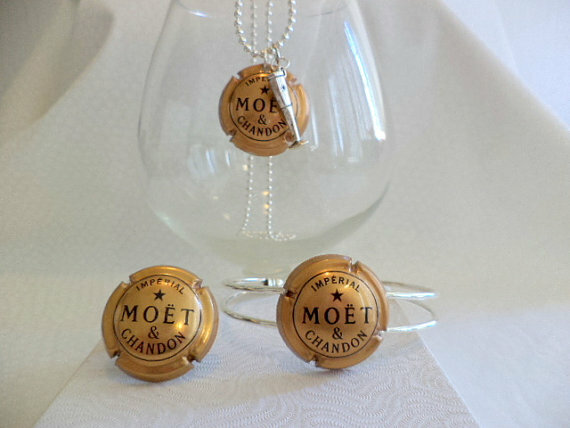 In fact, I was the first kid on the block to have a complete champagne couture set. Now, you can too! You can order a bracelet to go along with the PCP ring or necklace you already have or order the complete set, which features a ring, bracelet, and necklace.